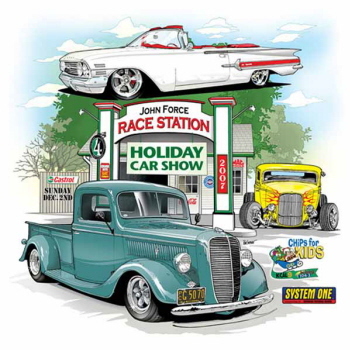 The 10th Annual John Force Holiday Car Show, benefiting the California Highway Patrol’s “CHiP’s for Kids” toy drive, was held at the John Force Racestation in Yorba Linda, Calif. I have been to the last couple of “Force Holiday Shows”, but they didn’t compare to this one. An amazing 980 vehicles covered every street and every lot around the Racestation. 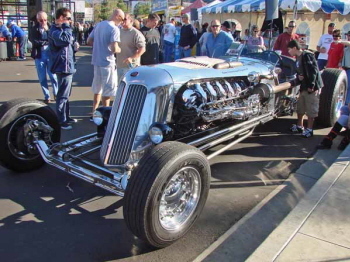 There were street rods, muscle cars, firetrucks, classics, trucks, dragsters, funny cars, sports cars, Race boats, and a “Tank Car”. 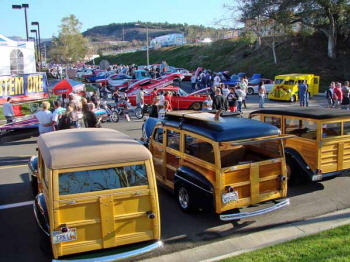 An estimated 25,000 spectators crowded into the area around the streets. 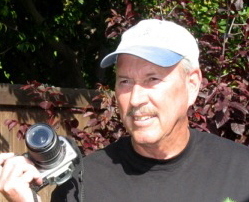 The featured performer was Peter Brandon. The Racestation and store were open to spectators and by the end of the day the store was rumored to be sold out. 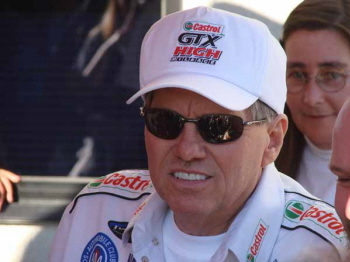 At the autograph table this year where Kenny Sargent (Speed Freaks), Gas Ronda, Tom “The Mongoose” McEwen, Mike Neff, Bernie Fedderly, Laurie - Ashley – Brittany & Courtney Force, Robert Hight, Jimmy Shine, Austin Coil, and of coarse John Force. The line for autographs and the one to get into the “RaceStation” were long and never seemed to go down. 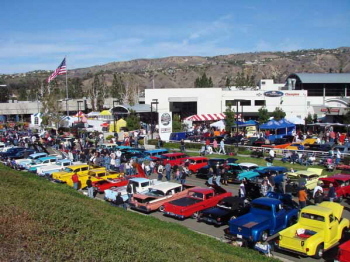 Many motorsports celebrities were there, including Megan McKernan, Mousie & the Winged Express, Art Chrisman, Randy Haapala, Craig Chaffers, and Chip Foose. 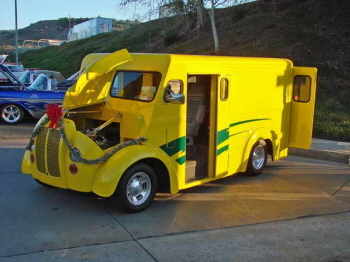 6000 toys were collected for the California Highway Patrol’s “CHiP’s for Kids” toy drive!! It was the largest single day collection of toys! An amazing 980 vehicles covered every street and every lot around the Racestation. 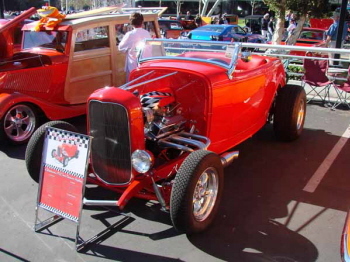 A very clean small block Chevy powered ’32 Ford Roadster owned by Ted Woodward. 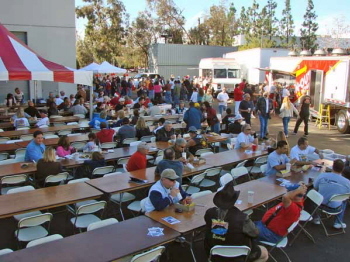 As usual, a free lunch is included for all registered vehicles. IN–OUT does a great job. 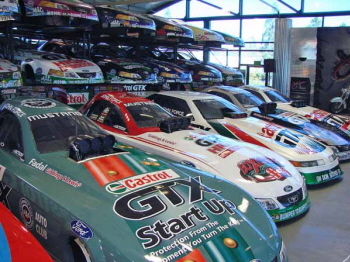 Some “old” Funny Car bodies. It’s nice to see John Force getting along so well. 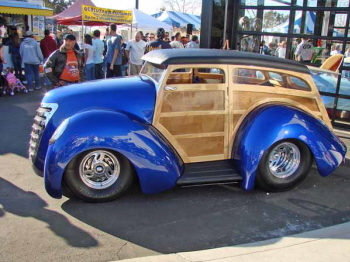 This is called “Wacky Woodie” and it is owned by Ron Berry from Washington, UT. 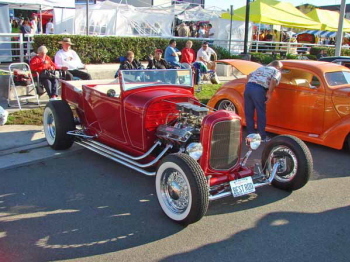 Ray Allison of Huntington Beach, CA owns this nostalgic Cadillac powered ’27 Ford Roadster pickup. 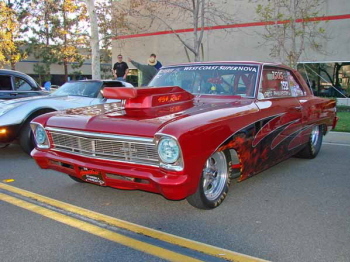 Greg Phillipson runs a big block Chevy in his ’68 Chevy Nova race car. 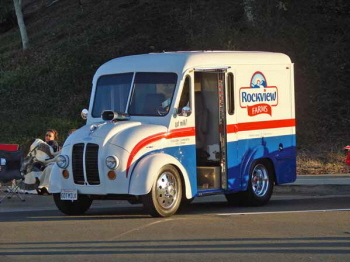 and Itch Vargas of Downey, CA has the Rockview truck. 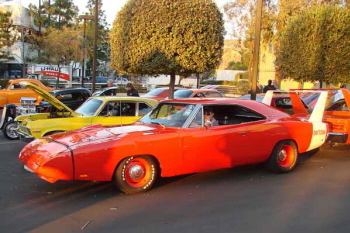 This ’69 Dodge Charger Daytona is owned by Mike Ross of Newport Beach. 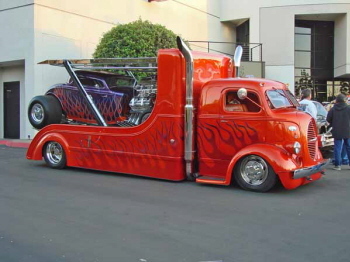 Randy McDaniels brought his ’38 Ford COE double-decker car hauler. 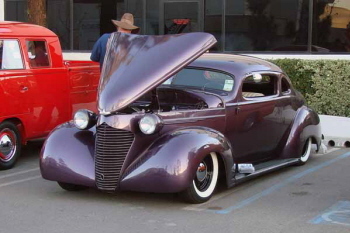 Oh ya, that’s his blown Arias powered ’34 Ford coupe along for the ride. 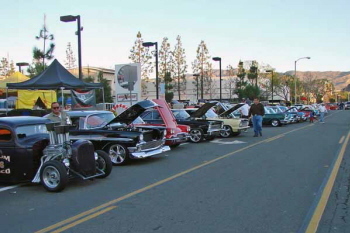 6000 toys were collected for the California Highway Patrol’s “CHiP’s for Kids” toy drive! From (l-r) Courtney, John, Brittany, Ashley & Laurie ……….. The Forces.